I know the Lord lives. I know that He loves us. I know that apart from Him no one can succeed, but as a partner with Him no one can fail. I know that God can make a lot more out of our lives than we can. We must lose ourselves in doing his will. We need to come unto Christ with a broken heart and a contrite spirit, hungering and thirsting after righteousness, feasting upon the word of Christ, to look unto Him in every thought, and to always remember Him. If thoughts make us what we are, and we are to be like Christ, then we must think Christ-like thoughts. Welcome to Epicworld Dinner Topics! Well, the change of heart is a life-long process for Christian disciples. Our individual progress is between each of us and the Lord. But for a moment let’s look at this on a broader scale. Biblical history is replete, not only with calls to personal repentance, but also with God’s dealings with entire nations. God loves all His children, no matter where they reside. 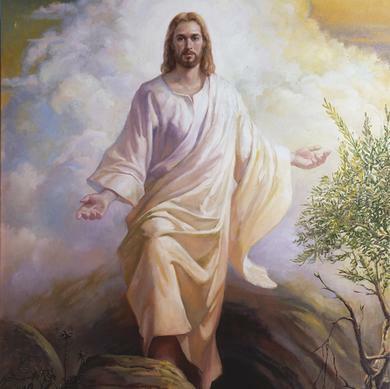 Jesus Christ is the Savior of the World. However, though His love is unconditional, the truth is, His atoning sacrifice is conditional upon our repentance. Repentance has been the unrelenting message of God’s prophets since the beginning of history. Historically, people resent that message, because they don’t want to change their hearts. Today, nothing much has changed, human nature being what it is. Christian leaders continue to warn us that we must repent, or suffer the consequences of our sins on our own, because the eternal law must be satisfied. Because God is our loving Father, He is also a just God, for the sake of the innocent. I have this dream that America will experience a huge spiritual revival, will turn her heart as a nation back to God. I know, it seems impossible; hear me out. The character of a nation reflects the character of her people. God has always asked His people to be a leavening influence. Contrary to popular perception of this little word, “repentance” is the hidden manna that will truly satisfy the spiritual hunger of God’s children and protect them from the poisonous effects of sin. Thus we see that “repent” is a message of love, because it is the single key to divine mercy. There are many who are seeking the truth, but they just do not know where to find it. They don’t know the great plan of happiness that God has for them. They don’t know how to be delivered from the terrible part of the Judgment Day. But you know—maybe they are waiting for you to tell them. Meanwhile, time speeds on inexorably toward the day when Christ returns. Do you want the many good people in your life to suffer because they did not know the good news of the gospel? God wants you to open your mouth and speak His everlasting truth—a truth which is increasingly elusive in this world wallowing in sin. You have been warned; therefore, go and warn your neighbor. It will be the greatest labor of love you will ever do. Keep in mind that the prayers of the righteous spare the nation. ~C.D. PLEASE CLICK HERE TO VOTE FOR EPICWORLD DINNER TOPICS. Do you enjoy this web site? If you do, please click here or vote at the link in the right-hand sidebar beneath the Follow button. If we can be listed in the Top Sites at “Christians Unite!”—we can reach more people who think like you do. Thank you for your support. Unleash a love of learning in your child with hands-on history materials! If these things are true, then we have the greatest message of hope and help that the world has ever known. On March 30, just one year ago, little two-year-old Ethan Carnesecca was admitted to the hospital with pneumonia and fluid around his lungs. Two days later, his condition had become so serious that he needed to be flown by helicopter to Primary Children’s Hospital. His worried mother, Michele, was allowed to ride in the front seat and accompany her son. She was given a headset so she could communicate with the others in the helicopter. She could hear the medics working on her sick little boy, and being a pediatric nurse herself, Michele knew enough to understand that Ethan was in serious trouble. Families are Forever—Do You Believe It or Not? “I had learned about the blessings of the temple and [that] ‘families are forever’ in Primary and in Young Women. I shared the message on families to the good people of Mexico on my mission. I was sealed to my eternal companion for time and all eternity in the temple. I taught lessons about families as a Young Women leader, and I shared stories about forever families with my children in family home evening. I KNEW it, but did I BELIEVE it? My answer came as quickly as the question popped into my head: the Spirit confirmed to my heart and mind the answer I already knew—I DID believe it! Ethan spent many weeks in the hospital, receiving expert medical care. The prayers, fasting, and faith of loved ones, combined with that care, allowed him to leave the hospital and return home to be with his family. He is healthy and well today. This defining moment for Michele confirmed to her that what she had been taught all of her life was more than just words; it is true. We believe that this Church is more than just a good place to go on Sundays and learn how to be a good person. It is more than just a lovely Christian social club where we can associate with people of good moral standing. It is not just a great set of ideas that parents can teach their children at home so they will be responsible, nice people. The Church of Jesus Christ of Latter-day Saints is infinitely more than all of these things. Think for just a minute about the profound claims we make as a religion. We believe that the same Church Jesus Christ established while on the earth has been restored once again by a prophet called of God in our time and that our leaders hold the same power and authority to act in God’s name that ancient Apostles held. It is called the priesthood of God. We claim that through this restored authority, we can receive saving ordinances, such as baptism, and enjoy the purifying and refining gift of the Holy Ghost to be with us at all times. We have apostles and prophets leading and directing this Church through priesthood keys, and we believe that God speaks to His children through these prophets. We also believe that this priesthood power makes it possible to make covenants and receive ordinances in holy temples that will someday enable us to return to the presence of God and live with Him forever. We also claim that, through this power, families can be bound together for eternity when couples enter the new and everlasting covenant of marriage in sacred buildings that we believe are literally the houses of God. We believe that we can receive these saving ordinances not only for ourselves but also for our ancestors who lived on the earth without having the chance to participate in these essential saving ordinances. We believe we can perform ordinances for our ancestors by proxy in these same holy temples. We believe that, through a prophet and the power of God, we have received additional scriptures, adding to the testimony of that in the Bible declaring that Jesus Christ is the Savior of the world. We claim that The Church of Jesus Christ of Latter-day Saints is the kingdom of God and the only true Church on the earth. It is called the Church of Jesus Christ because He stands at the head; it is His Church, and all these things are possible because of His atoning sacrifice. We believe that these distinguishing features can be found in no other place or organization on this earth. As good and sincere as other religions and churches are, none of them have the authority to provide the ordinances of salvation that are available in The Church of Jesus Christ of Latter-day Saints. We have a knowledge of these things, but do we believe them? If these things are true, then we have the greatest message of hope and help that the world has ever known. Believing them is a matter of eternal significance for us and for those we love. We all need to seek to have our hearts and very natures changed so that we no longer have a desire to follow the ways of the world but to please God. True conversion is a process that takes place over a period of time and involves a willingness to exercise faith. It comes when we search the scriptures instead of the Internet. It comes when we are obedient to the commandments of God. Conversion comes when we serve those around us. It comes from earnest prayer, regular temple attendance, and faithful fulfillment of our God-given responsibilities. It takes consistency and daily effort. I am often asked, “What is the greatest challenge our youth face today?” I answer that I believe it is the ever-present influence of the “great and spacious building” in their lives.4 If the Book of Mormon was written specifically for our day, then surely we cannot miss the relevance for all of us of the messages in Lehi’s vision of the tree of life and the effect of those pointing their fingers and taunting from the great and spacious building. What is most heartrending to me is the description of those who have already fought their way through the mists of darkness on the strait and narrow path, have clung to the rod of iron, have reached their goal, and have begun tasting of the pure and delicious fruit of the tree of life. Then the scripture says that those finely dressed people in the great and spacious building “were in the attitude of mocking and pointing their fingers towards those who had come at and were partaking of the fruit. As members of the Lord’s true Church, we are already in the boat. We don’t have to go searching through the philosophies of the world for truth that will give us comfort, help, and direction to get us safely through the trials of life—we already have it! Just as Ethan’s mother could examine her long-held beliefs and declare confidently in a moment of crisis, “I do believe it,” so can we! I bear witness that our membership in the Lord’s kingdom is a gift of immeasurable value. I testify that the blessings and peace the Lord has in store for those who are obedient and faithful exceed anything the human mind can comprehend.